Welcome to the new home of Glasskatz! 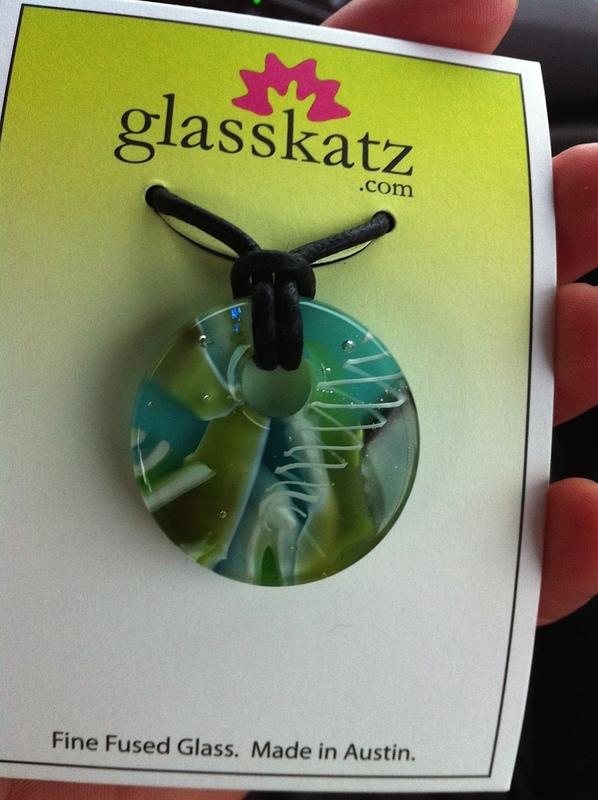 Glasskatz is my fused glass company in Austin, Texas, that specialized in a unique layered glass style of jewelry. In the past, we've participated at weekly local farmer's markets, Austin's Pecan Street Festival, 4th Avenue Street Fair in Tucson, and other events around the Austin area and southern United States. We were also regulars at the Peddler Shows and Sami Shows in Texas. You might have also typed "Glasskatz.com" into the location/URL box of your browser to get here...I assure you, you’re in the right place! Another one of my favorites...the blend from blue to purple came from two different slabs that ran together in the kiln—a happy accident. 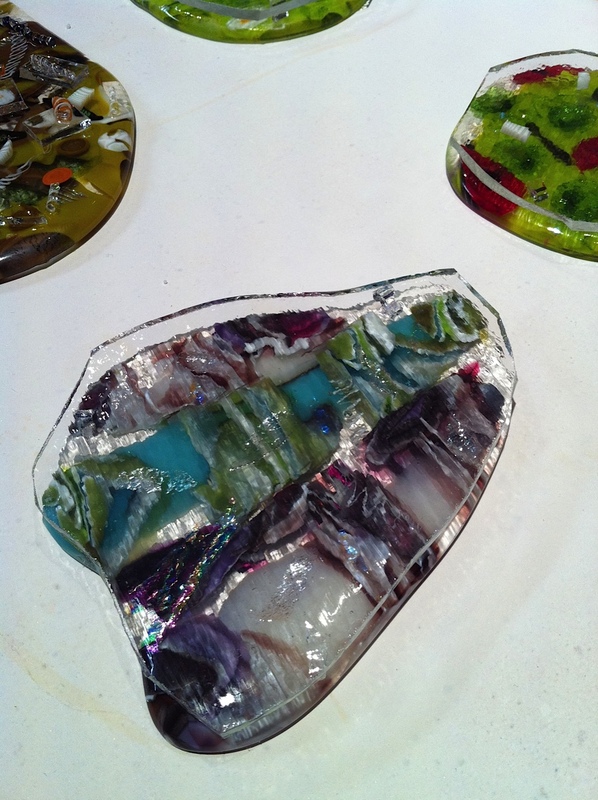 This is the slab that the purple and blue pendant came from, before firing with the clear cap of glass. One of my favorite layered donut pendants. Here I was playing around with casting glass. 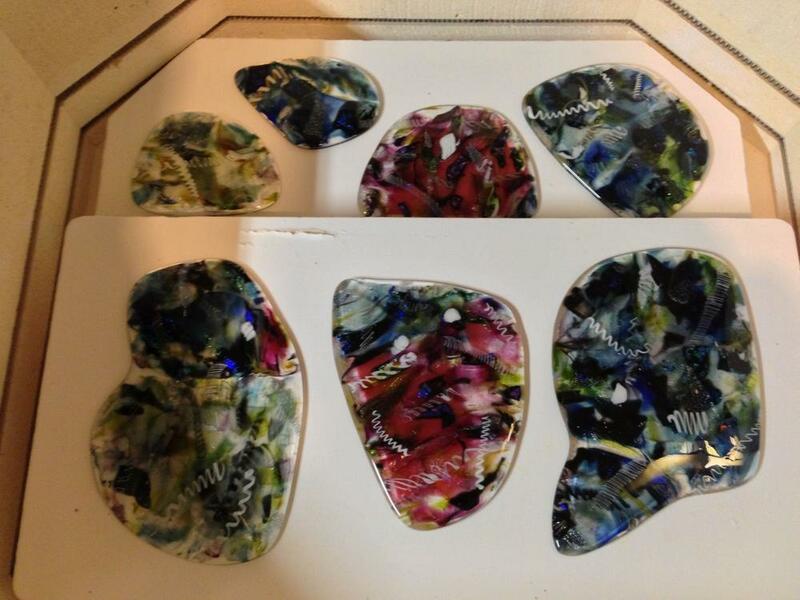 Another batch of my layered glass. The aqua blue was one of the most popular batches I ever made. We participated in the Peddler Show in various Texas cities. This display shows off our art canvases and panels of pendants. This piece of glass shows off some "reactions" between the French Vanilla glass, Spring Green, and Egyptian Blue. Everywhere that colors react, a dark line of copper oxides develops. 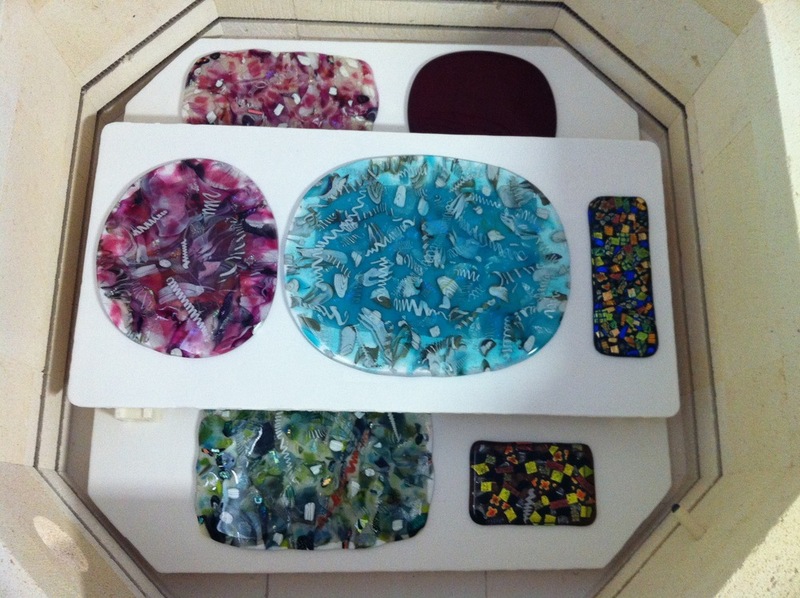 Slabs of my complex glass are shown here after a 22-hour firing in the kiln. The "Water Flowers" series was gorgeous...a background of dichroic glass, and layered of vitrograph stems, with little white flowers. We had seen flowers underwater in Town Lake in Austin...the inspiration for this series. I even remember the customer that I sold this one too...I absolutely loved this piece...the small line of shimmy dichroic glass on the right really made the pendant. These popular donut pendants featured bits of pattern-etched dichroic and swirly glass. I never could recreate this pendant. The layers of color and depth were gorgeous. I had these frosted pillow boxes custom made from recycled materials. These earrings have just been cut on the tile saw. They'll be fired one more time to "fire-polish" the edges and make them smooth. Bobby is here in the booth with panels of pendants, on a hot Spring day. This is one of my earliest booths, at the Austin Home Show. I hadn't created custom packaging yet. I created this piece for the Relay for Life auction. 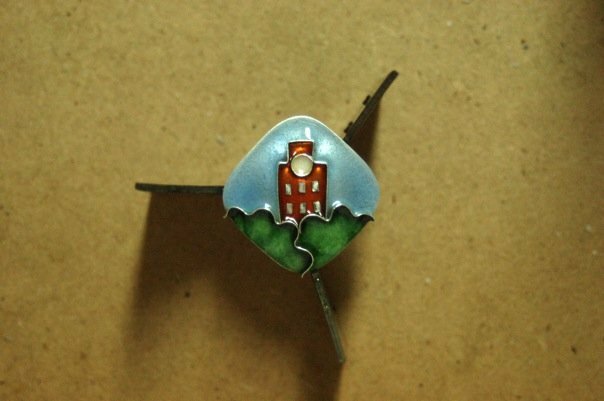 Experimenting with cloisonné enamel. This piece was destroyed when it went through the wash.